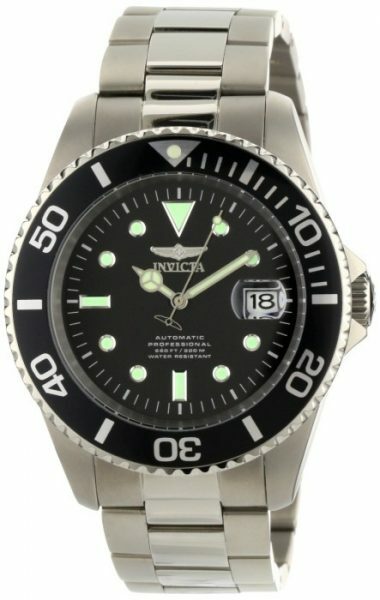 Plunge into any horizon using the steadfast guidance of the Invicta Pro Diver. Stylishly classic, internal workings are forged with variations of either Swiss chronograph or 21-jewel automatic movements and willingly navigate in depths up to 300 meters. Built with confident prowess, the fortitude with which these timepieces function makes the Invicta Men’s 0420 Pro Diver Automatic Black Dial Titanium Watch the quintessential in performance.